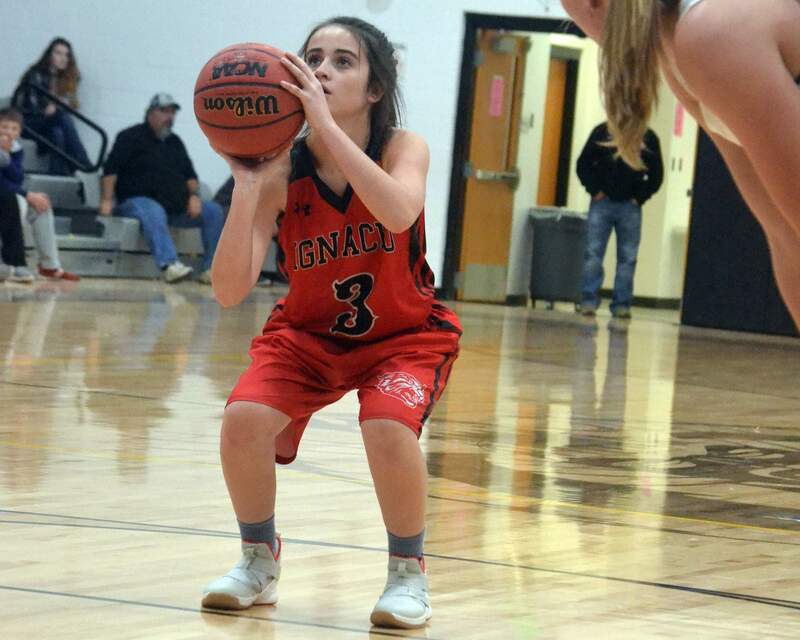 Only a sophomore, Ignacio’s Jayden Brunson has already begun to leave her mark on the Ignacio High School girls basketball team. 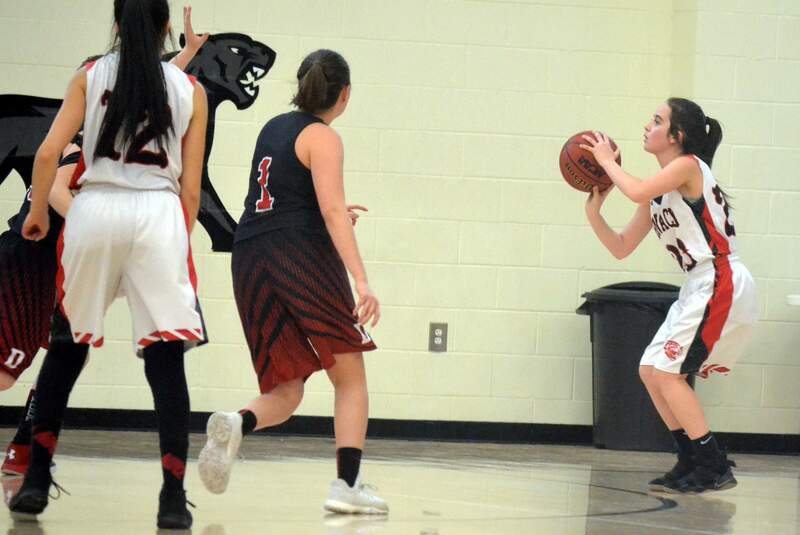 Jayden Brunson knew something was amiss after the Ignacio High School girls basketball team was thrashed in an 18-point loss to Alamosa on Jan. 5 in the first game back from holiday break. The following Monday, the sophomore guard called a team meeting to discuss what the team could do better. “I just knew that we had to fix some things before it could get worse,” Brunson said. “I understand it. I mean, we’re girls; we’re teenage girls on a basketball team, so of course, we’re going to have a bit of attitude. It was just like reminding them that there’s no room for this if we have these goals we want to achieve. Brunson, daughter of Jaydee and Melanie Brunson, also talked about expectations with new head coach Justa Whitt, who is in her second stint with IHS. In a team with three seniors, Whitt was impressed to see an underclassman speak up. Brunson was a freshman on last year’s team that reached the state tournament. 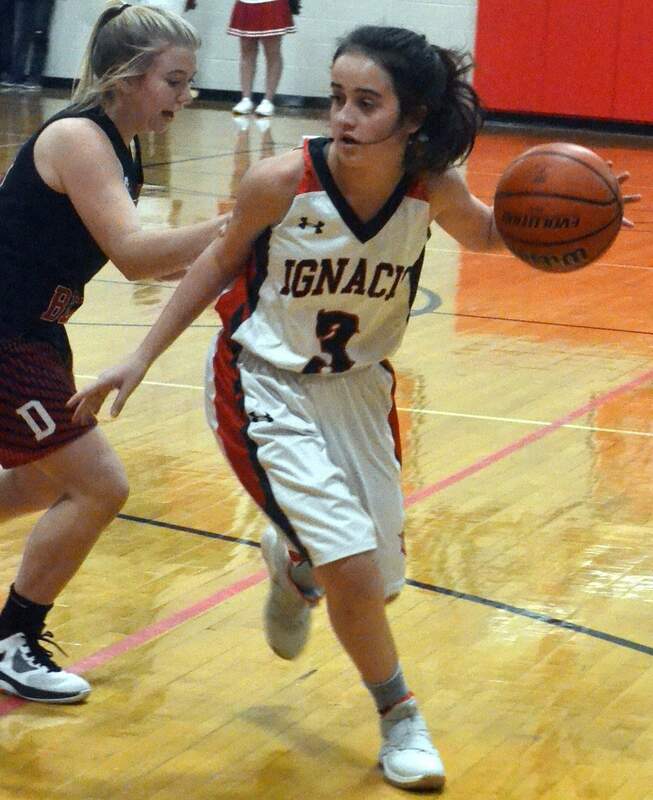 In the 2A District 3 Tournament championship game, she scored a game-high 14 points for Ignacio against Dolores. Many of the Bobcats from that team returned this season. Ignacio’s Jayden Brunson was deadly to Dolores in the 2018 2A District 3 Tournament championship played at Montezuma-Cortez High School. Brunson sank four 3-pointers and totaled a game-best 14 points, as IHS blew out DHS 46-11. Since the team meeting, practices have been more productive, team morale and chemistry has finally clicked and new offensive and defensive sets have improved. Ignacio (8-4, 7-0 2A/1A San Juan Basin League) as it has won five consecutive games. One area of the floor that Ignacio has succeeded in all season, has been its defense. The Bobcats have outscored their opponents by 209 points and have held opponents to under 30 points six times, including two games in which they held their opponents to less than 10 points. Ignacio sophomore Jayden Brunson has been an all-around threat for the Ignacio Bobcats en route to an unbeaten mark in league play thus far. From a team meeting to the new coach, Brunson said the last two seasons have reminded her a lot of her favorite sports movie “Hoosiers.” The famed 1986 film stars Gene Hackman, a new coach in small-town, basketball-mad Indiana who leads a team of underdogs to a state championship title. Ignacio will look to continue winning ways on the road against Nucla at 2 p.m. Saturday. What is your favorite sports movie? : “Hoosiers.” It’s always been a movie that my dad and I watch. What is your favorite song? : “Jump Around” by House of Pain. We always listen to it a lot before games. What is your dream car? : I don’t know that I’ve got a dream car, but I’ve always wanted a Jeep. Who is your favorite athlete? : Kawhi Leonard. What is your favorite book? : “A Child Called ‘It’” by Dave Pelzer. What do you like to eat before a game? : I usually eat Subway. If you could have any superpower, what would you pick? : The ability to read other people’s minds because it would be cool to know what they’re thinking. If you could take a trip anywhere in the world, where would you go? : Hawaii, and in particular, Kauai, because of the beaches and scenery. What is your favorite outdoor activity? : Snowshoeing at Spring Creek, just outside of Ignacio. What teacher has had a big impact on your life? : Mr. Tony Kimball. He teaches math at IHS, and always takes the extra time to go over things. Do you have a role model? : My dad. He’s always taught me to play with heart and to always give it my all.